The canning party is only 1 sleep away!!! And, everyone in my house is busily preparing and super excited. We have 24 canners attending our party tomorrow night ~ to EAT UP what WE’VE PUT UP! Everyone must bring one jar of something they have canned and the food that it goes best with. For example; you may bring homemade salsa with tortilla chips. Or, I’m serving sauerkraut with some of Richard Stephen’s (our local butcher from Stephen’s Butcher Shop in Port Carling) homemade sausages. I think there is going to be a wonderful selection of different jarred foods for everyone to try and enjoy. Yesterday, Matt, Kath, and I headed down to the big city of Toronto to pick up our canning t-shirts (which we’ve had especially made for everyone attending the party) as well as a quick visit to some of the great food specialty shops in the city. 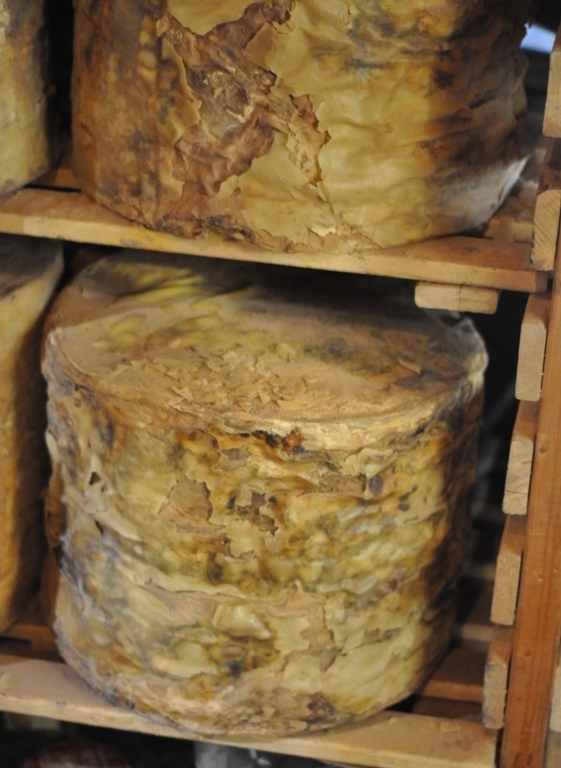 Our first stop was The Cheese Boutique. If you’ve never been there you really must make a point to go. This place is a gorgeous sight. There are a wide range of jars lining shelves to the ceiling, a room of colourful pasta, a tasty array of desserts, fresh fruits and veggies, a cheese vault, an assortment of daily baked breads, an exhausting selection of cheese, and much more. The staff is very friendly and knowledgable, offering you samples of cheese to taste and answering any of questions you may have. We love it! Matt selected half a dozen delicious cheeses to accompany the homemade bread he’s preparing for the party. Oh…I am drooling just thinking about it. The cheese vault at The Cheese Boutique is awesome. 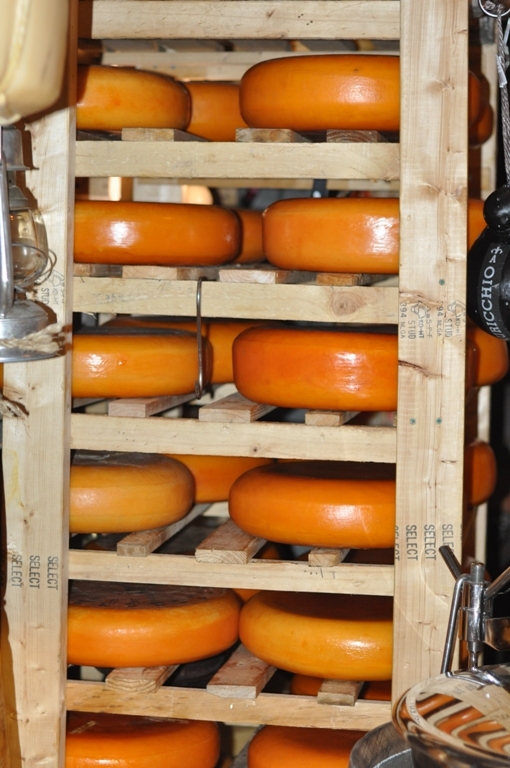 It is a dark temperature controlled room that houses a beautiful selection of ginormous wheels of cheese. I want one of these vaults in my house! All three of us could have spent the day looking at all of the preserves and sampling different cheeses but we had a lot of other places we wanted to go. Next stop ~ The Spice Trader. Now, for all of you canners who are looking for organic dried herbs and spices this is the place. 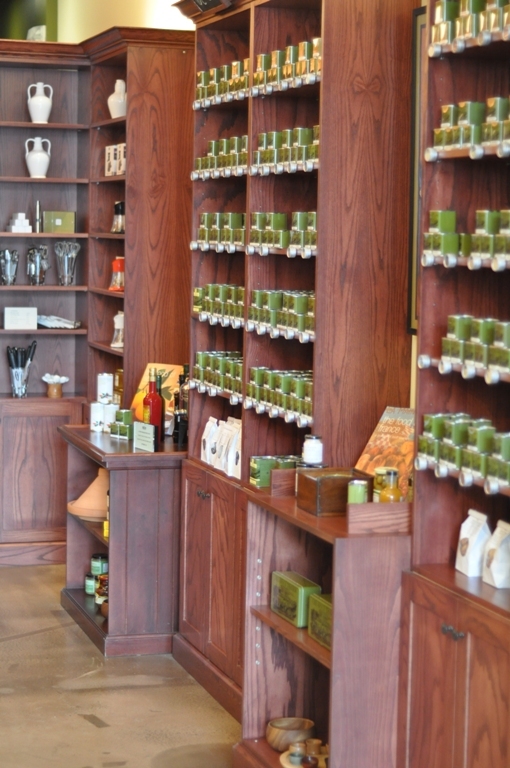 Located at 877 Queen Street West their new store is home to both The Spice Trader and The Olive Pit. It is a beautiful store with shelves of carefully canned dried spices organized alphabetically and wonderful selection of olive oils. The couple that own this store are absolutely delightful and passionately stand behind what they sell. 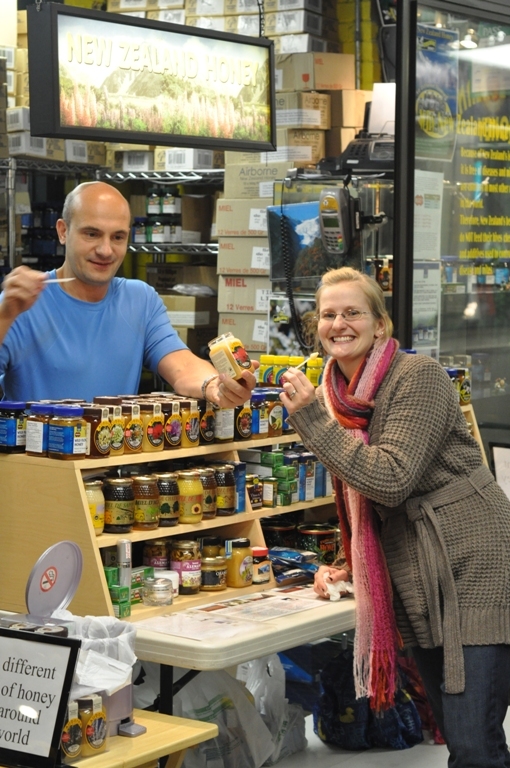 While, Matt and Kathryn enjoyed sampling the different olive oils I examined their wide selection of spices. Each dried herb and spice has a little clear viewing container so that you can really get a sense of what everything looks like. I think that is a great idea because they have a large number of spices…many I’m still not familiar with. It is a great place to pick up your everyday organic herbs and spices and the place to go when searching for the unusual. They are also making a wonderful pickling spice for all of you canners! 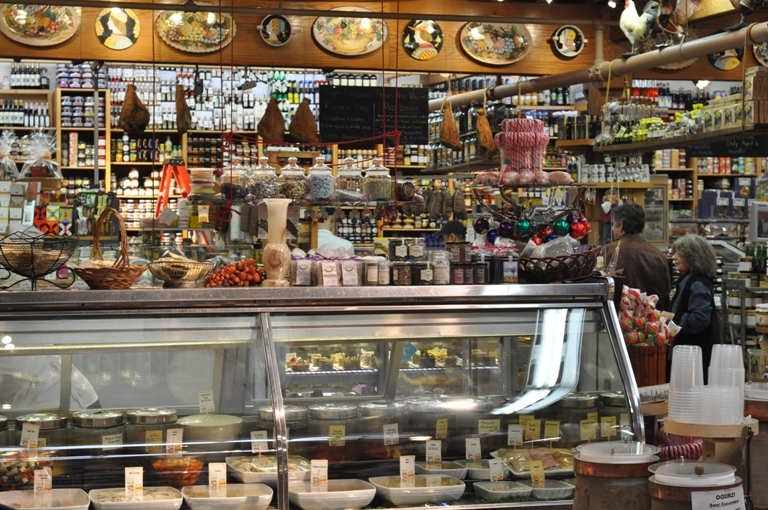 A trip to the city would not be complete without visiting the St. Lawrence Market. If I lived in the city this would be my haunt. It has it all from meat to mustard and everything in between. Our primary reason for stopping in today is to pick up some Chestnut Honey for Matt’s bread making, a little bit of Kolitz Mustard and maybe some meat. As honey collectors we always make a point of stopping in to visit Oleg, the Honey Man, from The World of Honey. Oleg is set up on the lower level of the Market. He has a neat display of over 50 different honey’s, most of them mono-honey, honey that has been pollinated by bees using a single and specific food source like Lavender Honey or Matt’s favorite in bread Chestnut Honey. Oleg, happily allows you to sample any and all of the honey. Each one is uniquely different I find it difficult to turn any of the jars away. Here is a picture of Kath sampling some Sunflower Honey. What a fun day…now, I need to get back to our party preparations! ← A First Time Canner!!! A canning party sounds like so much fun. Those shops you went to in Toronto look so amazing! Especially the Cheese Boutique. Oooh, I have to convince the hubs to make a trip up North.